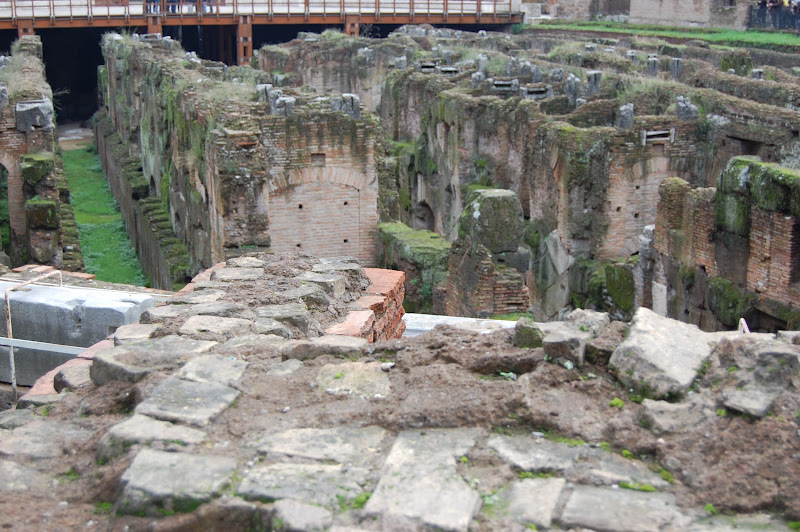 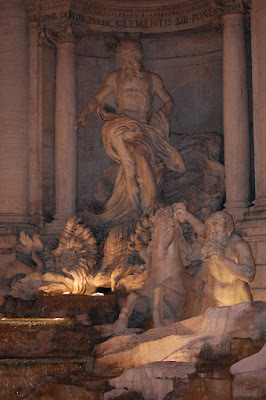 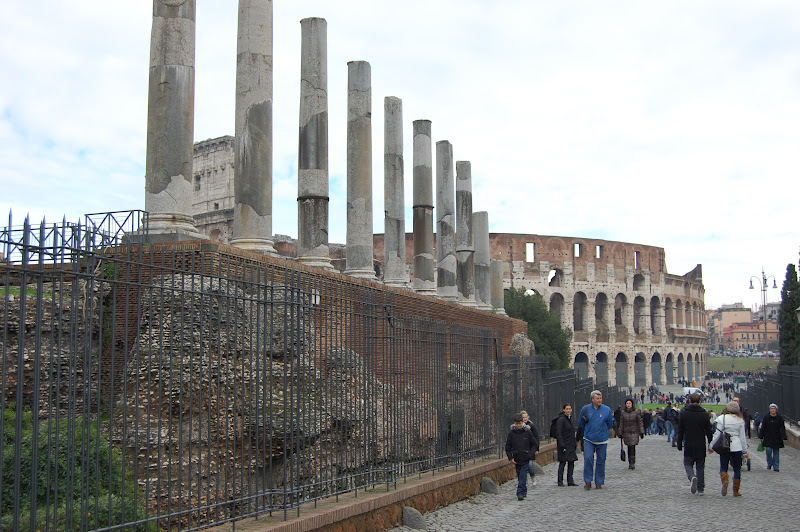 The ancient city of Rome... A power house rich with history. Looking up and around you hear the roaring of the spectators, feel the courage of the gladiators, and you yourself feel small. 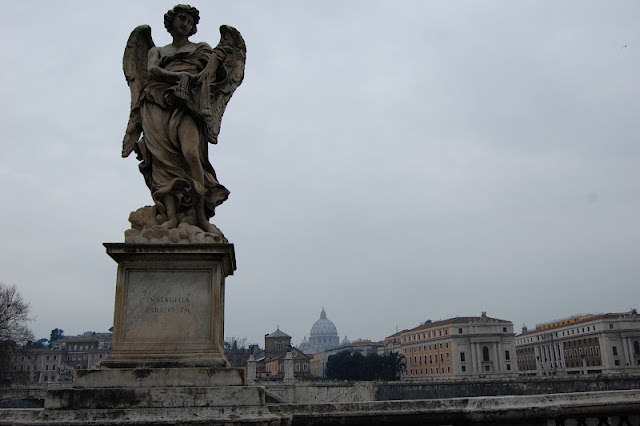 One of the many angels lining the Ponte Sant'Angelo with a view of St. Peter's and Vatican City. During the holidays Piazza Navona holds a Christmas market in the square. 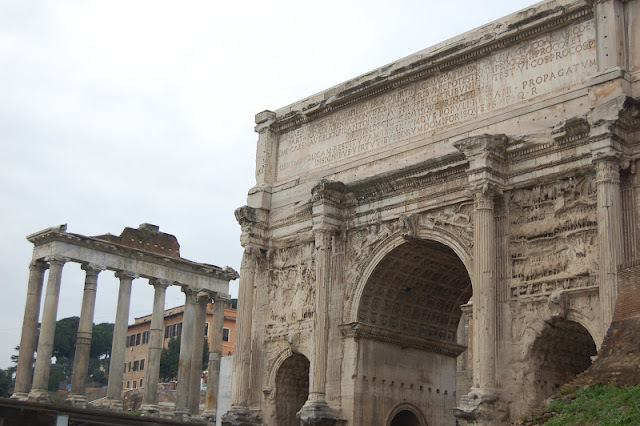 It's filled with fun and camaraderie. Senses are overwhelmed with welcomed stimulation. 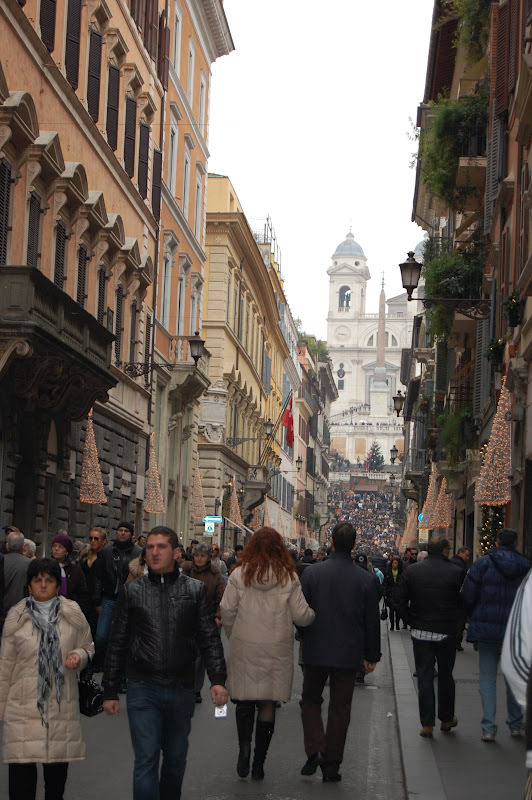 The shops leading up to the Spanish Steps will keep you busy (and your wallet empty), assuming you can push your way through the crowd, especially during the holiday season. 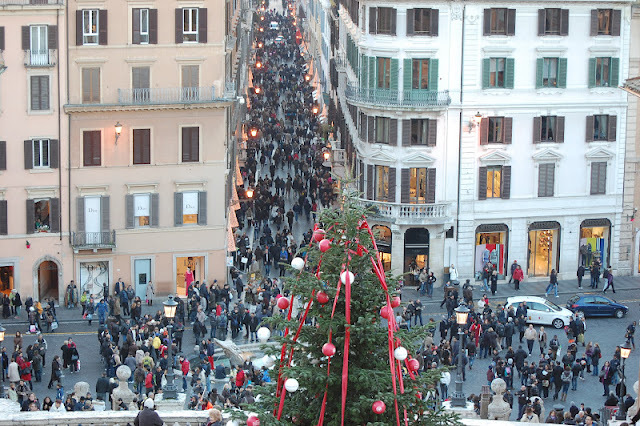 And then the view down from the Spanish steps of that same street crowd really is breathtaking. 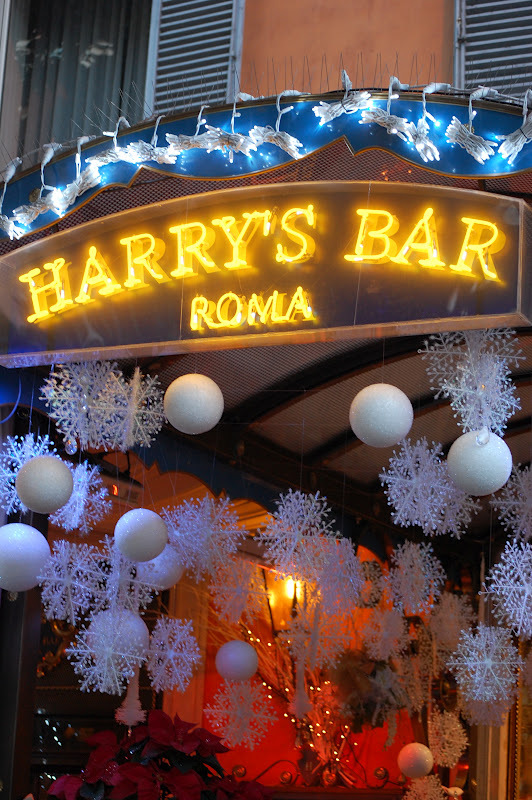 Always a nice pit stop for a drink and the Roman venue is no exception. Have some tea at one of the beautifully adorned tables, or pop up to the warm, wooden bar if a seat is available. 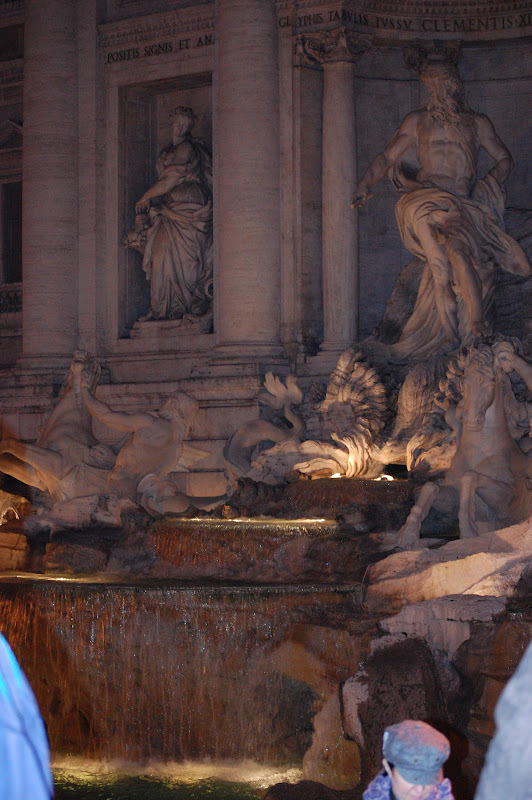 The service is impeccable, outstanding on all accounts. 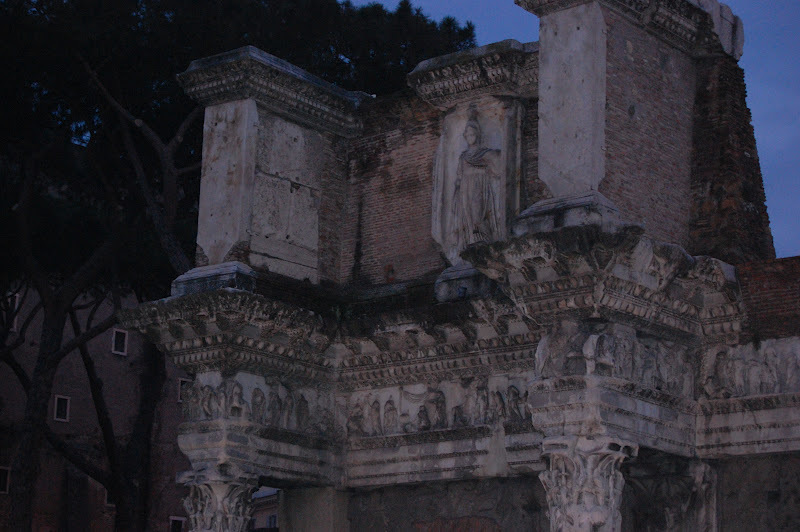 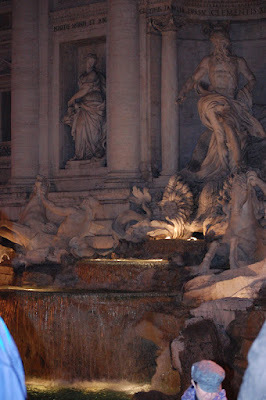 There is something so magical in seeing the Roman ruins in the dark night. 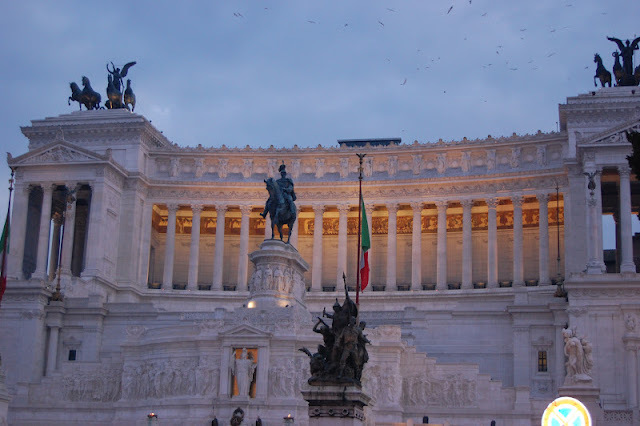 Like it or hate it, the National Monument to Victor Emmanuel II is a site to see, especially when the columns are lit up in the night sky. Throw a coin into the fountain using your right hand over your left shoulder and luck will have it that you are supporting those in need. 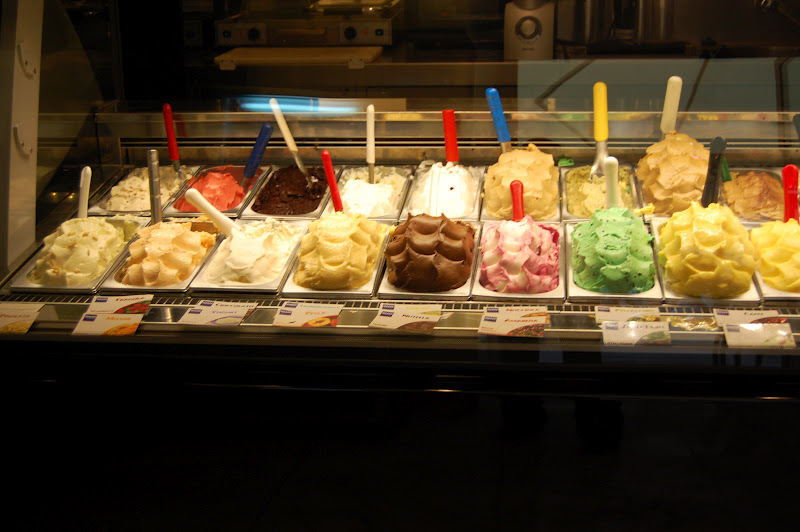 Last but definitely not least… The Gelato! 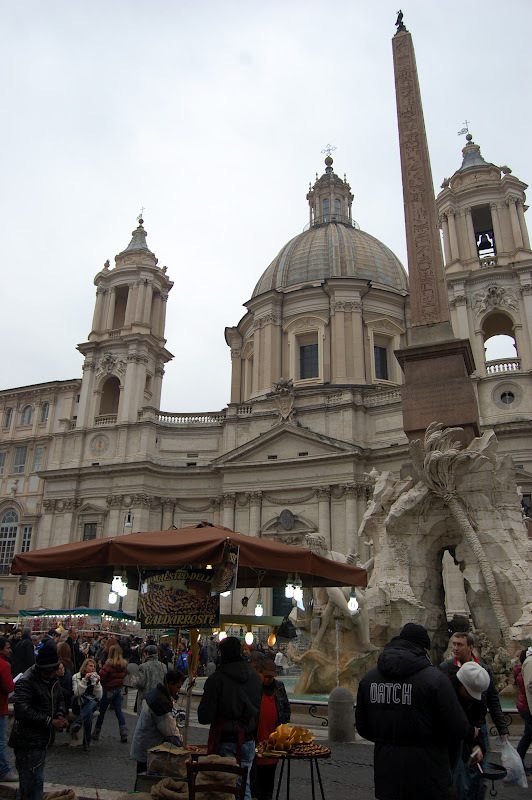 Nothing beats gelato in its country of origin.